Supporting an active network of 8,000 subject-matter experts. Our member public health institutes are united in creating conditions for health and well-being, a priority that is shared among all. To this end, membership in our national network multiplies the reach, influence, expertise and impact of our partners and members. 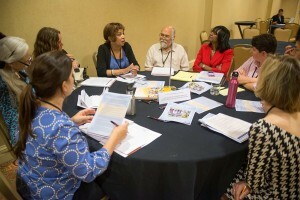 The NNPHI public health institute model emerged as a complement to governmental public health systems for addressing the most pressing current and emerging public health issues. Over the last decade, the NNPHI public health institute model has expanded to support population health improvement. Our network of member institutes and training centers value entrepreneurial leadership, collaboration, and interdisciplinary partnership. They are well-resourced, high-capacity organizations with a depth and breadth of technical expertise. What is an NNPHI Public Health Institute? Public health institutes are nonprofit organizations dedicated to advancing public health practice and making systematic improvements in population health. NNPHI public health institutes drive the kind of improvements that impact the health outcomes of groups (as opposed to just individuals) and help all people to access the conditions and resources they need to live healthy, happy lives. NNPHI member institutes work with a range of multi-sector and multi-disciplinary partners towards a shared mission that creates conditions leading to improved population health. NNPHI member institutes foster positive change and structural improvements by leveraging and pooling resources through partnerships with government agencies, foundations, communities, the health care delivery system, media, and academia. 42 public health Institutes with approximately $1.4 billion in funding [source: 2016 990s]. 10 Regional Public Health Training Centers and 39 local performance sites serving 500,000 public health professionals. How can we unite a network of experts to drive innovation in public health practice and population health improvement? Learn More. To help every NNPHI member understand all of the resources and services available to their organization, NNPHI has developed a packet that describes membership benefits in detail.